Home/Tree Plantings/Tree Plantings in Victoria/EcoTreasures and 150 trees. Showcasing Sydney’s beaches, marine parks and mountains, EcoTreasures is a Sydney, nature based company that specializes in local tours with an eco twist. Founder and owner, Damien McClellan is a big supporter of our native environment. Damien’s informative tours leaves his customers with a better appreciation of Australia’s unique wildlife, culture and heritage. Damien has purchased 150 trees for one of our revegetation sites at Westgate Park, Melbourne, Victoria. Walkin’ the talk, Damien plants trees on the behalf of groups who complete one of his outdoor adventure tours. Of the 150 trees, 75 trees were planted on the behalf of Student Team IFSA and another 50 trees were planted for Student Team UNSW Global. The other 25 trees were planted as part of a 2018 Christmas promo! 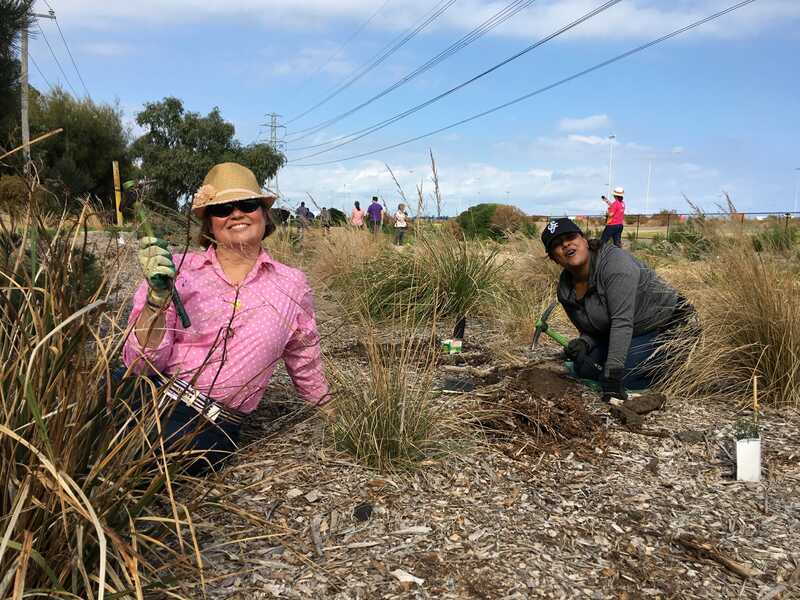 Tree planting at Westgate Park, Melbourne, Victoria. Both IFSA and UNSW Global recently completed a student excursion with EcoTreasures. These adventures are designed to bring student teams closer together while enjoying the environs of Sydney. Thank you Damien for your on-going support of our native environment. To date, you have helped us plant almost 300 trees! That’s an Ecotreasure Forest!